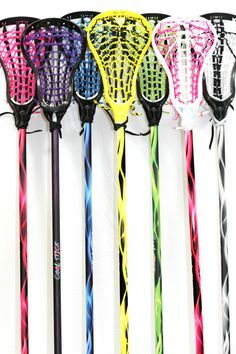 Do you know the coolest accessory you can add to your lax helmet? 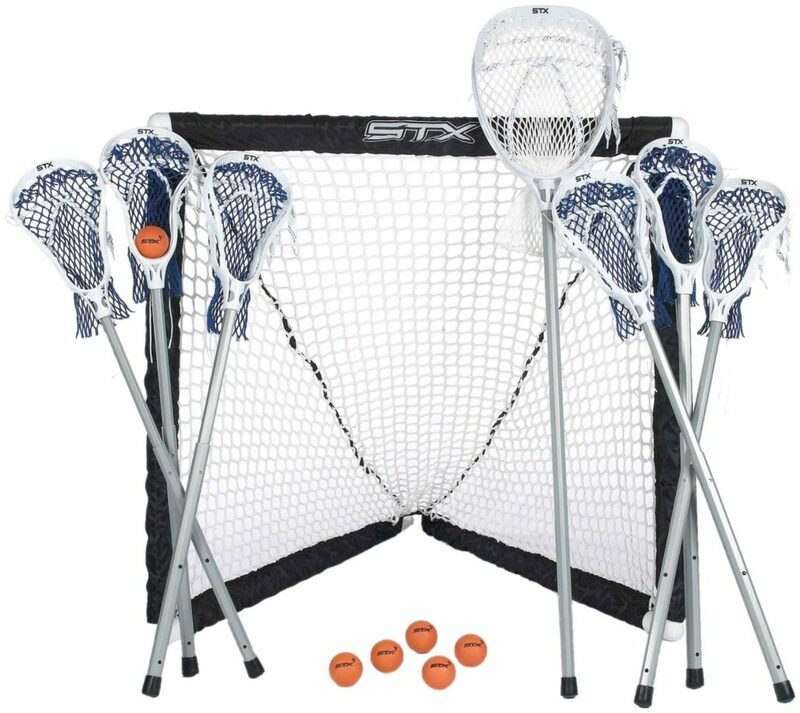 A lacrosse visor keeps you safe from finger poking and any particles in the air that could obstruct your vision. Traditionally you find tinted visors in football helmets, and they look pretty darn rad. Unfortunately, you won’t be able to show off your dope tinted visors on the field as they are prohibited by the NFHS. 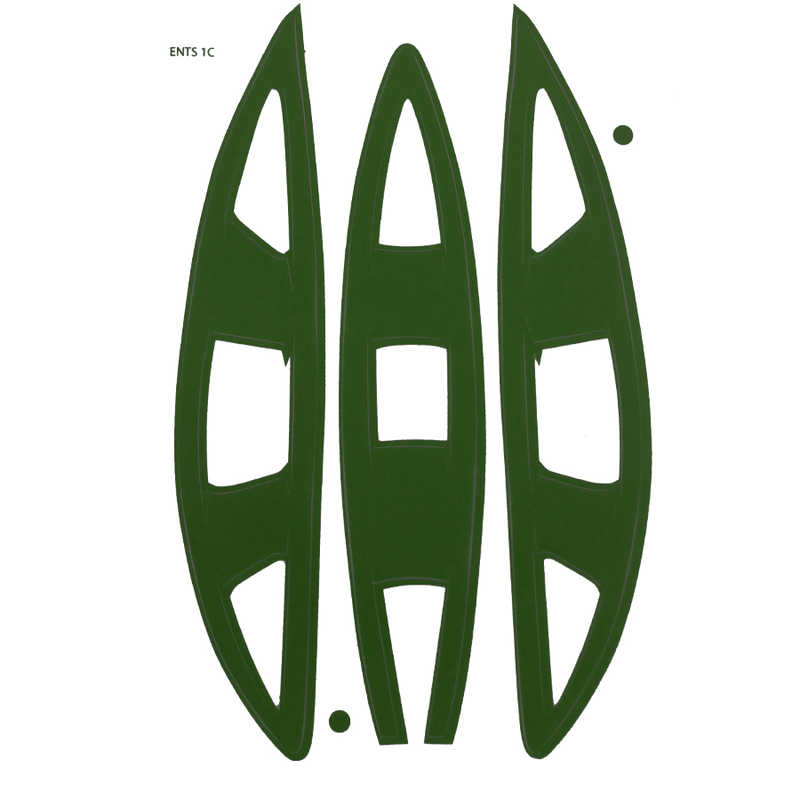 But what if you play lacrosse and want to put a men's lacrosse helmet visor insert into your CPXR or Pro7 helmet? 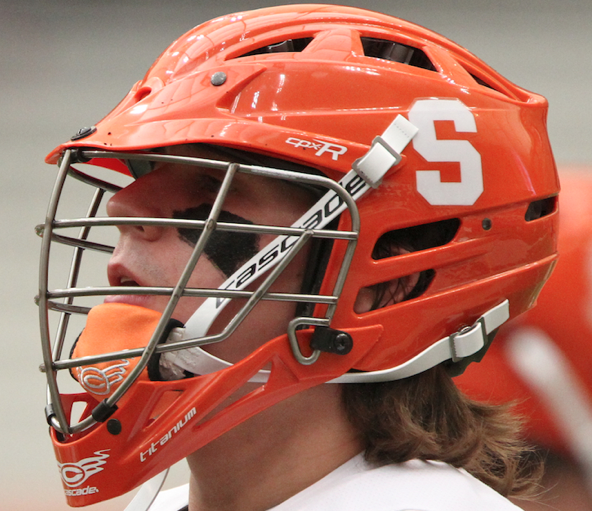 Lax pros like Casey Powell have a lacrosse helmet shield and it looks dope! 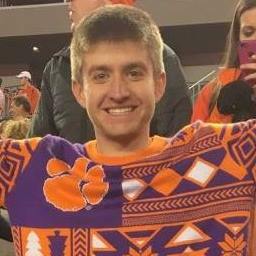 So it looks like there has been a lot of confusion around the subject of lacrosse helmet visor kits being used in games. This is the rule regarding visor use from Section 5, Article 3 and Sub section C of the NHFS rule book. You can find it on Page 32. You can use a clear lacrosse helmet visor so long as it's not tinted. So if you are looking for a lacrosse helmet sun visor, you'll have to settle for sunglasses. They might not be as comfortable as a tinted visor but you have to comply with the NHFS rules. Even if you have a doctor’s prescription saying that you are light sensitive, you still won’t be able to play with tinted visors. The reason having a tinted lacrosse helmet visor is illegal is because of safety. If you get clocked hard, the refs, coaches and paramedics need to easily see your eyes and face to check for a concussion or other serious injuries. And if you're wearing a lacrosse helmet eye visor, they will not be able to diagnose you. 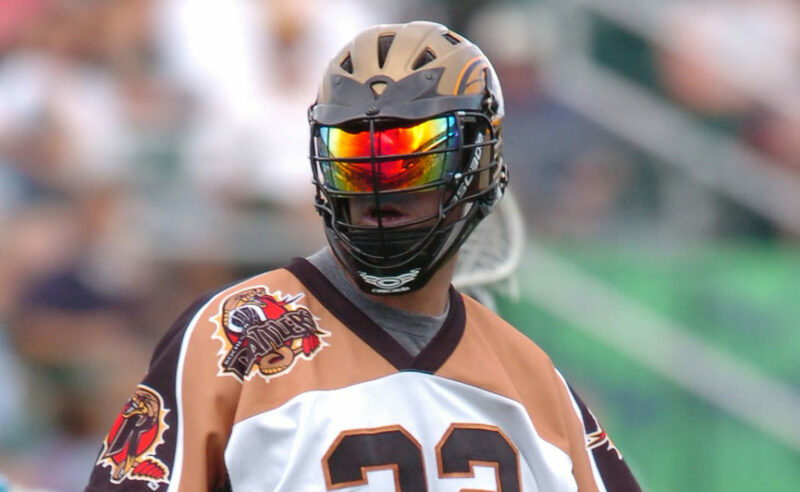 If you have an eye condition, like retina sunlight sensitivity, using a tinted lacrosse helmet visor is still illegal! If you need eye protection, then wear sunglasses that will fit inside your helmet. There is NO leniency on this rule! Other than the general rules, there are a few things that you need to look for in a lacrosse visor. An obvious first is visibility. You certainly don’t want to be that one player on the field running off in the wrong direction. So, the visor must allow full visibility. It is better to opt for an anti-fog visor so that even when the weather turns, it doesn’t bother you during the game. 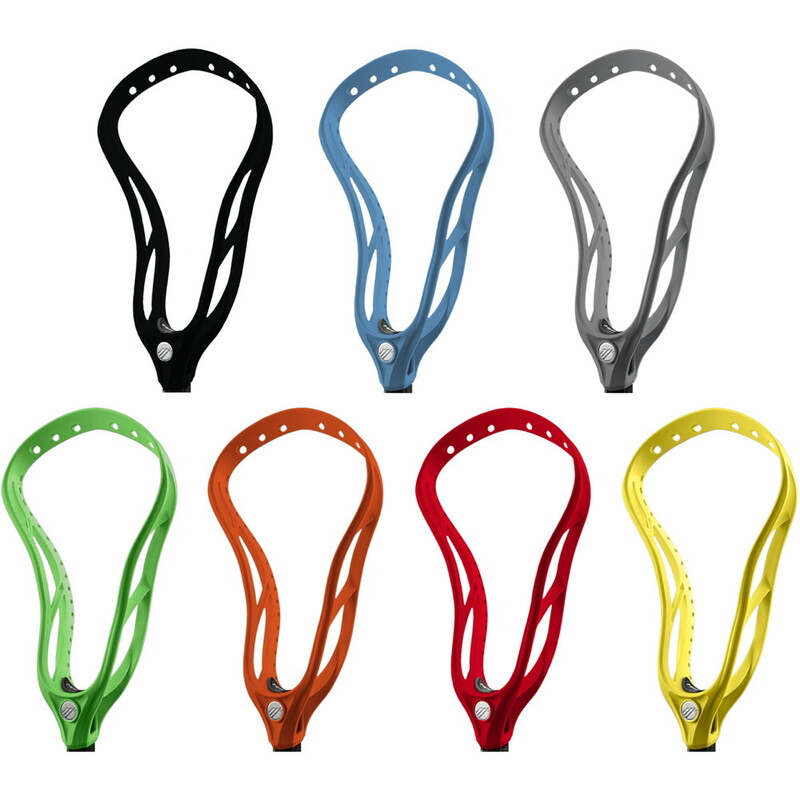 Alright so we've searched far and wide to find the best lacrosse helmet visors for you guys! Unfortunately the big brands like Nike, Brine, Warrior and Cascade don't offer lacrosse helmet visors, thankfully you can buy and install a SHOC Lacrosse helmet visor! Warning: Do not buy the Oakley lacrosse helmet visor anymore! 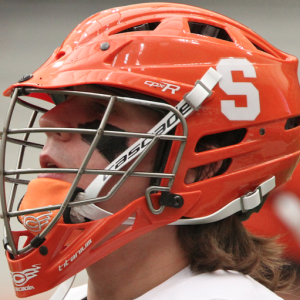 The SHOC helmet visor is the only Lacrosse-specific visor in the world! SHOC has quickly become the king of sports and outdoors eye protection. 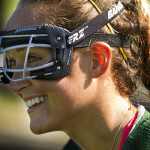 Their lacrosse visor has been specifically designed for lacrosse! Another first is that the company has become the only one to design a visor that both lacrosse and football players can use. The visors come in 15 different colors that are all reflective. So, you will have them changing with the light source. Relying on polycarbonate technology, the visor is anti-scratch which means that it will last for a long time. Also, it is lined with hydrophobic coating. As the coating is water-hating, it will keep sweat particles, airborne particles, humidity and rain drops at bay. No more trying to struggle with clear vision on those, hot, humid or even rainy days. 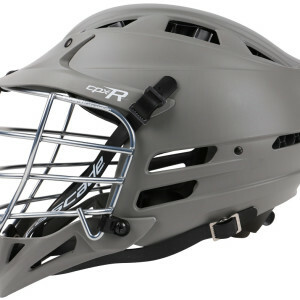 Easily add the SHOC visor to your Cascade CPXR or Pro7 helmets, or the new STX helmets. 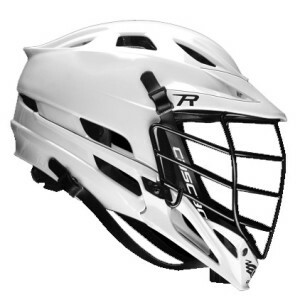 Be sure to checkout the video below on how to install your lacrosse helmet visor kit once you get it. If you buy the visor from Amazon, each SHOC visor comes with a free American flag decal. So, that is another catch too. Soft Carry Bag and Easy-to-Use Clips Included! Polycarbonate is probably the best material that the company could have used for their visor. 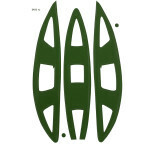 It is an industrial grade material that is extremely tough and durable. The best part, however, is that it is optically transparent. So, you can use it in games, as per the regulations. 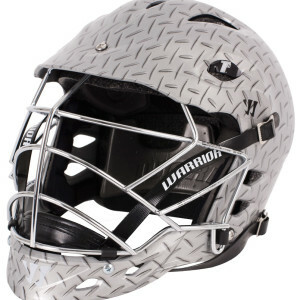 You do not want a lacrosse visor that breaks with the first hit that you receive to the head. SHOC visors are impact resistant so a blow to the head is not likely to break or scratch your visor. Installing the visor can be quite a nuisance if you have to use different tools for it. With the SHOC visor, you get clips. The clips make installing and removing visors your left hand’s play. Luckily, the same clips can be used with visors from other brands, like Nike, Under Armor, Zenith and Adidas too. The way you install your clip is totally up to your preference. The type of facemask you have will also affect the installation.